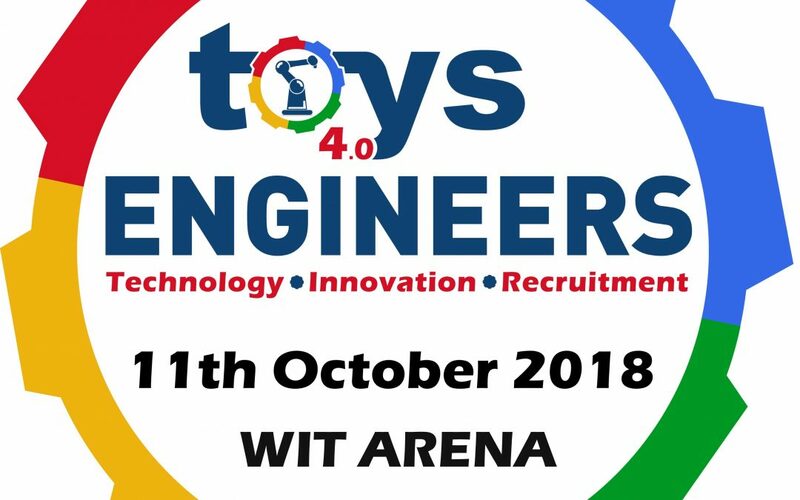 The Toys4.0Engineers Expo will run from 9am to 4pm, 11th October, WIT Arena, Waterford. With sub-titles “Technology-Innovation-Recruitment”, the event will combine technical presentations and demonstrations of advanced technologies (Industry 4.0, Sustainable Energy, Robotics, Additive Manufacturing/3D printing, AR, VR, BIM, etc.) with a showcase of stands for companies (multi-national and indigenous). 4 complimentary tickets to the Toys4.0Engineers Conference & Expo. 5 complimentary tickets to the Toys4.0Engineers Conference & Expo. 6 complimentary tickets to the Toys4.0Engineers Conference & Expo.